Now is the age of automatic doors, the days of manual doors are bygone. Technology has not only changed the way we live, but it has also changed the way we use things these days. The world of motion-sensors has taken over. Our team has noticed an upward trend in the demand of automated garage doors. While automated garage doors openers are easy to operate they have their own mechanics and circuits that need constant care and replacements. Trust Garage Door is here to help you with all automated garage door issues in Nashville, TN area. 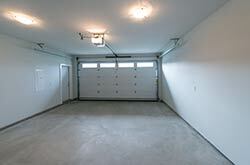 Automated garage door openers are durable and noise-free. They have lesser physical components and operate on power to lift and drop the shutters. Highly function, these garage door openers are designed to handle different weights and power specifications. The main reason for their popularity is their minimal maintenance demands. The automated garage door openers are designed to match international standards and benchmarked against some of the best known international contemporaries. While you may think that automated garage openers can be easy to handle and maintain they can cause distress when trouble does strike. Worry not! Our team is equipped to handle all automated garage door related issues, starting from installing openers, merging of home automation systems and even keyless entry. Our team can even help you get multiple remotes for added security. Once you call in our team to help you with garage doors they will come over, assess your door, recommend which type of opener would suit your purpose and offer you accessories and features for the same based on their observations and calculations. 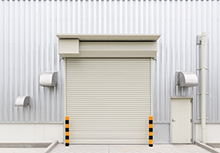 Trust Garage Door also offers regular maintenance checks for an increased longevity of the door and hassle-free operation of the openers.